Eid craze is here with bundle of joys and fun. On this holy occasion, be the one whol celebreates eid with fun of Animal transport truck pk eid 2017. Drive and thrill yourself with this amazing animal transport truck driving experience. 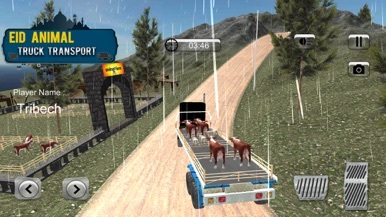 Use your skills to drive real trucks for transporting eid animals from the houses to thye slaughter house. It is going to be one crazy eid. Drive your truck around the city on this joyful occasion and gather the animals from place to play. Bring them out of the city to get them slaughters. This is real amazing simulation task. Cargo the animals and have fun. You are an expert at truck driving. 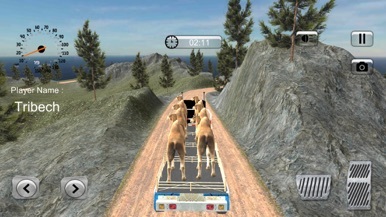 Be the king of the roads by transporting animals on your truck. The PK city is in a place of an event on this holy celebration. Wander around the city explore the amazing 3D PK city environment and have fun driving on this eid. As this is the event of Eid so there is going to be real crazy traffic on the PK city roads. 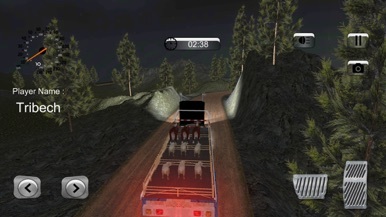 You will become real truck driver and work as eid animal truck transporter. we have designed the amazing 3D PK city with farm animals in this transport truck game for you in which you can use heavy truck simulator for simulation skills also use as a zoo animal transporter truck. There are going to be animals around the city in the traffic. Clear away all the traffic; leave all the rush behind to perform your duty of transporting Eid animals on your trustee truck. This is a Simulation game with unique idea of Eid animal simulation in 2017 Eid. The Truck driving, simulation game is here. 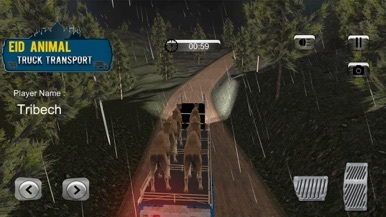 Drive your forest animal transport truck as a eid transporter truck driver and drive through animals for slaughter. Park your truck to show amazing simulation skills. On this Eid, start driving your Animal truck, go to market, buy animals. Transport your animals from one place to another. On this eid don’t just sit back and relax, instead perform your duty. You are reliable to transport all the eid animals. Animal transport truck pk eid 2017 is An amazing idea to drive in PK city with the truck driver traffic rush parking simulator and the cabin of the truck and enjoying each movement on the off-road snow loader trucker parking without any traffic intruding the drive to maximize the fun. This real ultimate eid truck driving and parking extreme rush drive now begins with this free game and a single click on the screen. Enjoy this simulation game and fascinate yourself with this intriguing concept of Eid animal transport and 2017 PK city Drive. When a screen is tapped, Karin reacts. When difficult calculation is performed, there is a possibility that an animation becomes long until at most 10 seconds. Animation at the time of calculation can be turned off.